When: Thursday, Sept. 7 at 7 p.m.
Hays High’s tour of Georgetown ISD closes with the flagship school of the district Thursday. 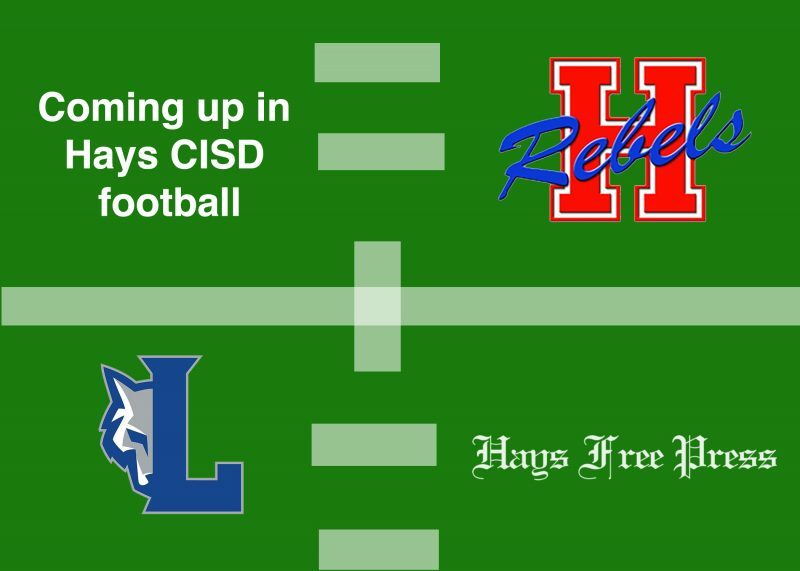 With a win, Hays could earn its best start to a season since 2013. The Rebels will lean on a cornucopia of running options that include RB’s Cade Powell, Thai Mayberry, Dallin Roberts and Martin Shoemaker. Additional running threats can be found in QB’s Xavier Martinez and Desmond Young. But will the Rebels avoid costly turnovers? The Rebel defense will contend with CenTex standout QB Cooper Bell, who amassed over 300 yards passing last week. If the second half defense against East View plays, Hays could keep the Eagles grounded. Should the first half defense return, Thursday’s game could be a high scoring affair. A strong start and an at-times efficient offense were bright spots for a Lehman team that’s hungry for success. Expect the Lobos to key on those attributes as they aim to rectify last week’s season opening loss. Defensively, Lehman will be tasked with containing a McCallum rushing attack that racked up close to 500 yards against Anderson. If the defense holds, it could give Lehman’s offense a chance to thrive. QB Daniel O’Neal put up over 300 yards passing and evenly distributed the ball last week. Throw in the running styles of RB Diego Romero and the Lobos may be able to keep pace. Can the Lobos be consistent in all phases of the game? That’s the question Lehman must answer.